Labor Day weekend, I’ll be at DragonCon in Atlanta—and if you’re there, stop by and say hello! News Flash! 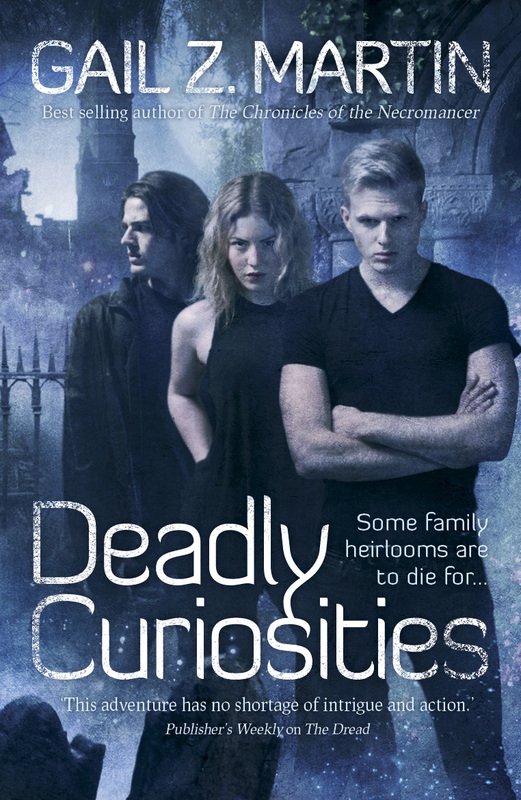 Solaris Books has asked for a second Deadly Curiosities book for 2015! Four new anthologies with my short stories are now available! Check out the Anthologies page of this website—it’s updated with the whole list of anthologies that are now available with my stories. Since January, I’ve been publishing a new short story on Kindle, Kobo and Nook every month. 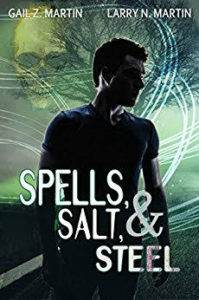 Some are in the Jonmarc Vahanian Adventures series, and some in the Deadly Curiosities Adventures series. How do the short stories fit with the novels? 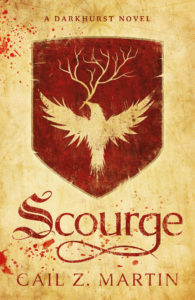 Will there be an Ice Forged series of short stories? What’s the connection between the short stories and the anthologies I’ve been in? 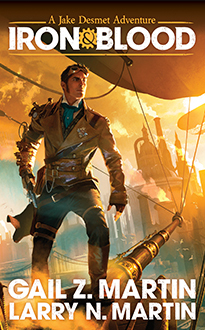 If there’s a Steampunk short story, is there going to be a book? Will they ever come out in anthologies or in print? Am I crazy? Let’s start with the last one first. Yes, I probably am crazy. The short stories run about 30 pages a piece, so 12 of them add up to nearly a whole book on its own. That’s a lot of writing, but fortunately it’s fun and almost counts as recreation. How do the stories fit with the books? The Jonmarc Adventures take place more than a decade before Jonmarc meets Tris in The Summoner. The short stories let you experience events in his past that get mentioned in passing in the books, milestones that made Jonmarc the man he is. You can think of the stories as a serialized novel, since each story builds on the ones that came before. I’ve got the equivalent of three books worth of back story, so this series will be running for a while. 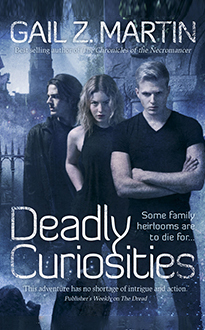 The Deadly Curiosities Adventures are part back story, part between-the-books stories for the new urban fantasy novel. The short stories begin in 1565, where we first meet Sorren, the vampire who becomes the patron behind Trifles & Folly. So far, we see Sorren and the Alliance at work in 1560s Belgium, in 1780s South Carolina and in modern Charleston. 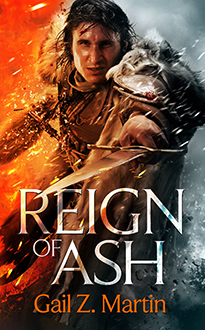 Don’t rule out stories set in other historical periods as well as more stories, and maybe a novella (hint) in the modern setting. 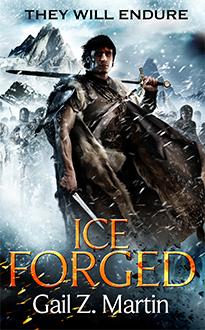 Will there be an Ice Forged series of short stories? Probably, but I’m not sure when. I’d like to revisit the six years Blaine spends in Velant and Edgeland, which gets mentioned but not told in depth in Ice Forged. Sooner or later, I’ll get around to it. What’s the connection to the anthologies? Most anthology contracts require a certain period of exclusivity, after which the story is mine again to do what I please. That means once the anthology has had its contractual period, I can post those stories as ebooks, which is why some of the stories may look familiar if you’ve read any of the anthologies where I’ve been an author. I’ll be doing a Steampunk short story and a superhero story. Does that mean there might be books? The superhero story may not lend itself to an ongoing series—I’ll have to think about that. As for the Steampunk, could be! A lot of people have asked whether I’ll be collecting the short stories into anthologies and or releasing them in print. Perhaps, but it won’t be any time soon. I need to write quite a few more stories in both short story series to have enough for a compilation to make sense. At that point, I’ll see whether a print version makes sense and go from there. But that’s probably at least a year away. Why wait when you can get the stories for .99 now! I also get asked what order to read the short stories in to get them chronologically. Here you go. I’m glad my fictional characters don’t have to apply for life insurance. They’d be out of luck. 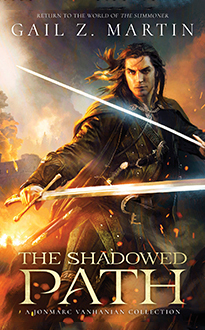 Being a main character in a fantasy adventure series is the biggest “pre-existing condition” there is. Blaine: Disgraced lord, convicted murderer, arctic colonist and potentially the only remaining Lord of the Blood. Agent: I see. Do you have any unhealthy habits? Blaine: I killed the man who dishonored my sister, got sent to a freezing cold prison colony run by a psychopathic commander and lately, I’ve started to hang around with ancient vampires. Oh, and I might be the only one who can bring back magic, but the last couple of guys who tried it burned up. Agent: Uh-huh. Well. Do you take precautions when you travel? Blaine: I can ride a horse and fight with a sword at the same time, and I’ve survived two trans-oceanic ship crossings in dicey conditions. Agent: Yes, well. Do you have any dangerous hobbies? Blaine: I have a knack for attracting assassins, and I have a tendency to get ambushed and have to fight my way clear despite pretty slim odds. My kingdom got flattened by a war and then magic failed, so there have been some local outbreaks of plague and storms of wild magic that tend to let monsters slip through from some other place. I’m pretty good at fighting those. A couple of people keep trying to kill me, but so far, I’ve managed to get away. And there’s a warlord and an ancient vampire who really don’t want me to live long enough to try to fix the magic. Agent: Do you have group health coverage? Blaine: I brought my mates with me back from the prison colony. We watch each other’s backs. 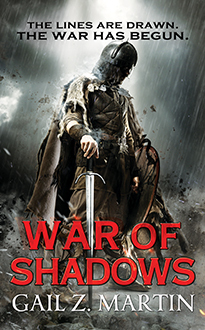 There’s another convicted murderer, an assassin-spy, a thief and a court-martialed soldier. Everyone’s pretty good in a fight, and that keeps us all healthy. I suspect that Blaine wouldn’t want to see what his premium would cost, assuming anyone would underwrite his policy. But those are the risks you take when you’re the hero in a sprawling epic fantasy saga. Eternal glory and the chance to bring civilization back from the brink of ruin, vs. ungodly high deductibles. Life is full of trade-offs! How do you transform a classic? How do you take a well-known tale and make it your own, while still capturing the essence of the original? I have never attempted this before. It is a daunting task, one that requires familiarity with the source material and lots and lots of research. I truly respect those who have made a name for themselves retelling multiple fairytales. I found it challenging retelling just one, and I had help! I am talking about Baba Ali and the Clockwork Djinn, co-written with Day Al-Mohamed. 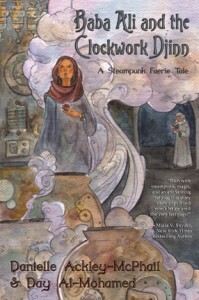 Originally this was to be a short story, written for the anthology Gaslight and Grimm: Steampunk Faerie Tales (Dark Quest Books, 2015), a retelling of Ali Baba and the Forty Thieves, but as anyone who has attempted (successfully or unsuccessfully) to retell a fairytale will tell you, there is no way to rewrite one short. There is so much content in those deceptively brief tales. Storytelling was much different back then, when most of these tales were spoken and not read. Maybe it is that people had to use their imaginations back then, so they needed less description, but in this age of show-don’t-tell it takes a lot more words to do justice to the classics. Don’t get me wrong, this was a wonderful experience. If anything we had more content than we needed, and it was certainly fun to re-envision a story that was a childhood favorite of mine. It would be nice to explore some of these characters more deeply, though, and without even the loose restriction of keeping somewhat to the original. Enough said on reason one. On reason 2, one of my prime goals in bringing in other fairytale traditions was for variety. Different types of tales, different cultures, different backdrop all together. Now that can be very tricky all around. Fortunately, the story of Ali Baba is at least vaguely familiar to most people thanks to Disney. That left the cultural details, which I had to take great care with. My not-so-secret weapon: Day Al-Mohamed, a good friend and a great resource. At first she was just supposed to be my consultant but the details she provided were priceless. Then she showed me one of her own stories, Death’s Garden, to illustrate the Middle Eastern story-telling conventions and I was sold. I immediately asked her to co-write the story with me and it was one of the best decisions I could have made. Not only did she help me to remain culturally accurate and relevant, but our brainstorming sessions resulted in some truly inspired story developments that both built on the original tale and grew it out into lush dimensions, still maintaining the fairytale flavor, but transforming it with just the perfect amount of historical references and steampunk inventiveness to breath life into our creation. By layering technological innovation over cultural convention our tale builds on the foundation of a civilization with millennia of history not just as a people, but as engineers, making it the perfect canvas for our tale. One of the first things we did was search for our historical references. Like the perfect application of fine spice, historic facts about Charles Babbage, Victorian England, the Persian Empire and a Middle Eastern engineering text dating back to the year 1206 added depth to the flavor of our tale. We referenced photographs and maps from the period as well as drawing on botanical and geographical features applicable to the region to lend authenticity to our characters and setting. How well did we do? You’ll have to determine that for yourself. I will say, though, that with all of these resources we were able to create a universe others seem to want to explore every much as we do ourselves. Click here to listen to a special audio except from Baba Ali and the Clockwork Djinn on our sister site. Last year, over one million books were published in the U.S. That includes books from big publishers and small presses, self-published books and ebooks—and it makes for a lot of choices for readers to sift through. That’s why reviews matter so much. It used to be you could while away a couple of hours at your local bookstore, wandering the aisles, browsing books on tables and shelves, maybe even sitting on the floor in the aisle, reading a few pages (my personal favorite). But as physical bookstores become scarce, a lot of book buying happens online—and ebooks have increased that trend. All those little thumbnail covers are overwhelming. How do you know whether a book is right for you? If you’re deciding whether or not to take a chance on an author you haven’t read before, reviews can make the difference between one book and another. It can be a personal recommendation from a friend, something you’ve seen on social media, a reader review on Amazon, Goodreads or another online bookstore, or a blog post from a book reviewer. 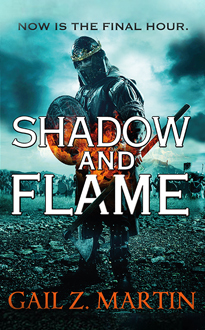 You may not always agree with all of a reviewer’s comments, but when you find someone who seems to like the same things you do, a good review can point you toward new reading adventures. Here are some comments I’m hearing from book reviewers around the world on Deadly Curiosities. Thank you to each and every person who has ever recommended my books!